Most K-dramas end with a final message which shows up on the screen after the final shot fades away. It acts as a farewell message, an acknowledgement of and appreciation for the time spent together. It is usually a brief ‘thank you for watching’ or a summary of the message of the show. At the end of Romance is a bonus book, the show leaves us with the words, ‘the moon is beautiful.’ For a moment, I was slightly taken aback but then I found myself whispering the words back. At first, Romance is a bonus book for me was a story about homes and how we attempt to find or create homes, places of love and support in the world. When the show entered its final stretch, then it felt more like this was a story about storytelling, its importance of stories in the world and the stories we tell each other. However, for me now, Romance is a bonus book is a show about both things and that all together, the show is a tapestry of stories about the things that give us and help us to survive in its world. The show starts off by painting a stark picture of the inhumane nature of modern living in South Korea. In the first episode, we see our heroine, Kang Dan-i (played naturally and with an abundance of warmth by Lee Na-young) facing a series of rejections at job interviews all based on the fact that she has been away from the workplace for some time (something that was taken from the American show that inspired this show, Younger). A particular moment summarises it well when Kang Dan-i struggles in a phone call to convince a company to delay her job interview after she has lost her shoe and she is late. She pleads with them for understanding and she is coldly rejected. Furthermore, she is seeking a home after the house that she lived in before has been demolished. Romance is a bonus book throughout leans into this idea that the modern world has little to no care for the people at the heart of it, particularly its stories about the treatment of writers. Yet the show is, of course, an overall positive one filled with an unapologetic, unabashed love for what it loves. The stories it chooses to tell illuminate the ways in which people find and create stories and homes as tools of survival. You can see the ways that this theme is woven in from the start. 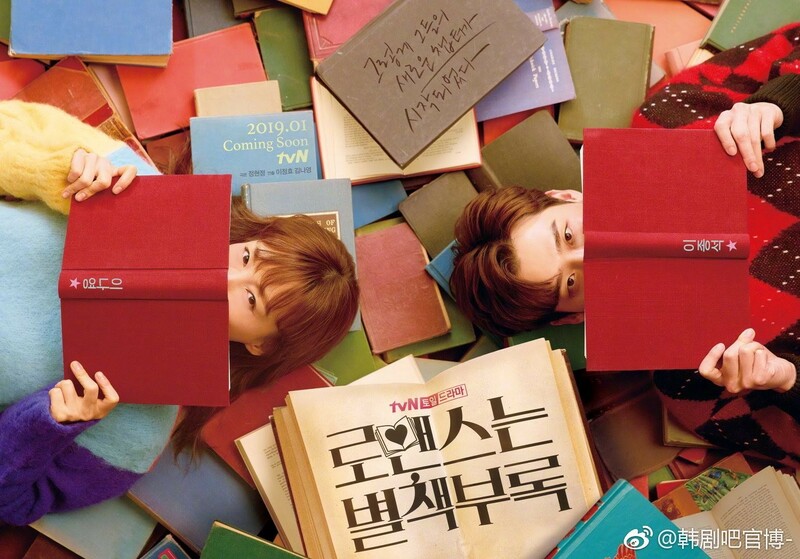 Early on, Romance is a Bonus Book tells us that Dan-i and Cha Eun-ho (a role that allows Lee Jong-suk use his greatest strengths) connected through stories when she was in the hospital, a testament to their healing power. Furthermore, arguably this story is initiated by an act of storytelling by Dan-i when she chooses to lie at the final and successful job interview, one that through which she is able to break her cycle of rejections. Romance is a Bonus Book is also, of course, a show about the publishing company and the love that the show has for books shines through this (Kim Tae-woo‘s excellent, hilarious performance as CEO Kim Jae-min comes to mind). Jung Hyun-jung, the writer of this drama (as well as the I Need Romance series and Discovery of Romance, notice a pattern?!) 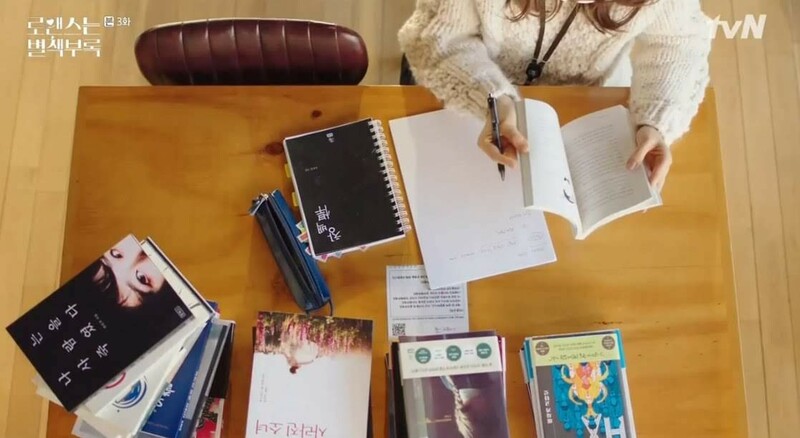 skillfully weaves in book-themed plotlines into the main plot, emphasizing the importance of books in our lives despite the decline of book sales. One of my favourite scenes in the show is the conversation that Eun-ho and Dan-i have in Episode 6 about their relationship. At one point, Eun-ho ends up describing himself as Dan-i’s “home” to which both Dan-i and I rolled our eyes. For me, homes come up as a major theme of the show, but not just the literal homes that Dan-i and Oh Ji-yool find (a delightfully funny Park Gyu-young paired with the revelation that is Kang Ki-doong). In Romance is a Bonus Book, homes are places of comfort, support, and love, safe places to hide in. By no means are these places perfect but rather they are defined by an imperfect love that helps you to be your full self. In that sense, Dan-i does find a home within Eun-ho but also one within her workplace. It was fully heartwarming to see the show trace Dan-i’s personal growth over time as she is able to repair the main defining relationships in her life. While this show does have flaws (yes, the daughter issue but this show is not really trying to be a portrait of single motherhood much like its inspiration), Romance is a Bonus Book still remains for me to be a well-done and thoughtfully crafted drama. It, for the most part, skillfully combines many different elements, a zany sense of humour, a sweet but not indulgent romance, a slice-of-life sensibility, and social critique. It is a drama with a stellar cast pretty much across the board who are given interesting, complex characters to work with. I think though that the best way to describe Romance is a Bonus Book is as a show that has an unapologetic, unabashed love for what it loves: books, writers, its main characters, homes we create…and it is a sincere love that overflows off the screen and to us.